Keeping your family and home safe is incredibly important. Modern homes have dozens of electrical hazards in them which can pose a risk of electric shocks or fire. It is important to keep a keen eye on all your electrical appliances to make sure that they are working correctly. 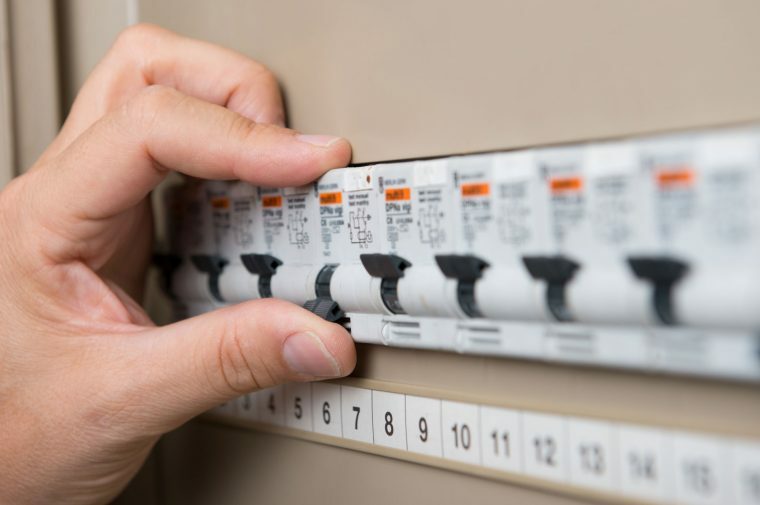 Current Electrical are experienced electricians. We can make sure that your house is as safe as possible when it comes to electrical appliances. Read our helpful guide to the most common electrical hazards at home and how you can stay as safe as possible. Frayed cables are a common occurrence and can be found on anything from the television to the kettle. 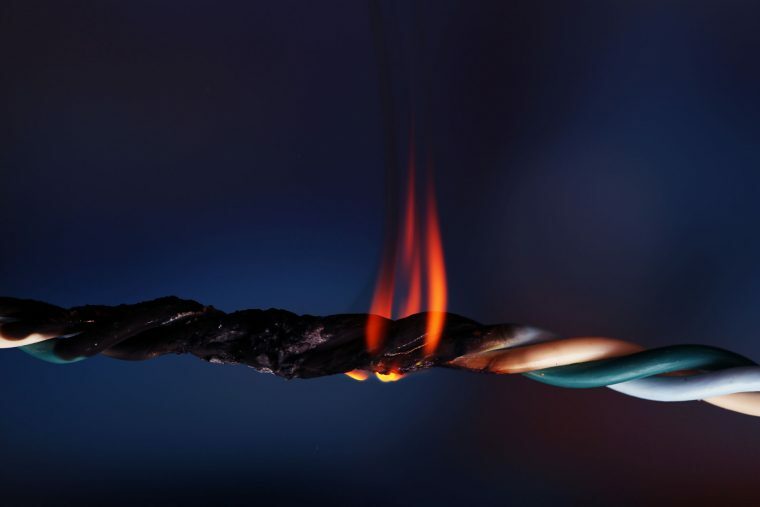 Old cables can give people electric shocks and could potentially cause electrical fires to start. Replace wires as soon as they start to show wear and tear. Wires should be maintained by using appliances with the appropriate amount of care. Wires can become frayed if pets such as cats and rabbits start to chew on them. This can give your pets a nasty electric shock. Keep wires out of harm’s way and free from interference by your pets. Young children can be incredibly inquisitive, and sometimes their fingers can find their way into electrical plug sockets. Damaged sockets present an electric-shock risk and should be replaced as soon as problems are noticed. Avoid putting protective covers on electrical sockets because these can be pulled off and may cause further problems. Damaged sockets could also cause appliances to short-circuit and might start a fire. If you are unsure about the condition of a socket, avoiding using it until it can be fixed. Once the socket has been fixed, you will be able to plug appliances in as normal. The bathroom is one of the most hazardous rooms in the house because electrical appliances are frequently in close proximity to water. Avoid leaving cables from hairdryers and straighteners dangling down because the wires could come into contact with water and potentially cause an electric shock. Make sure that the shower unit is working properly because faulty wiring could lead to accidents. Don’t leave electrical appliances near the bathtub if you taking a shower or enjoying a soak. Overloaded plug sockets are extremely hazardous and should be avoided. Overloaded sockets can create surges of power which could lead to a fire. Buy an extension cord so that multiple plugs can be used at any one time without risks. If you notice any damage to an extension cord, make sure to replace it as soon as possible. If your appliances are blowing their fuses easily, this can be a sign that they are worn or damaged. Make sure to keep an eye out for blown fuses and replace any appliances which seem to be the main culprits. Hopefully, this guide will help you to keep your electrics in order. To fix faulty appliances call us today!